This summer a most pressing issue facing our fragile bush and its wildlife has occupied much of your executives time. On the northern boundary Weiti Station, at present a wilderness of exotic and invasive weeds has been approved as the site of at least 1200 houses. The fate of the green fields on the southern bank of the Okura estuary, which the Todd development company wants to urbanise, will be known in August when Auckland Council announces its response to the conclusions of the Unitary Plan’s commissioners. 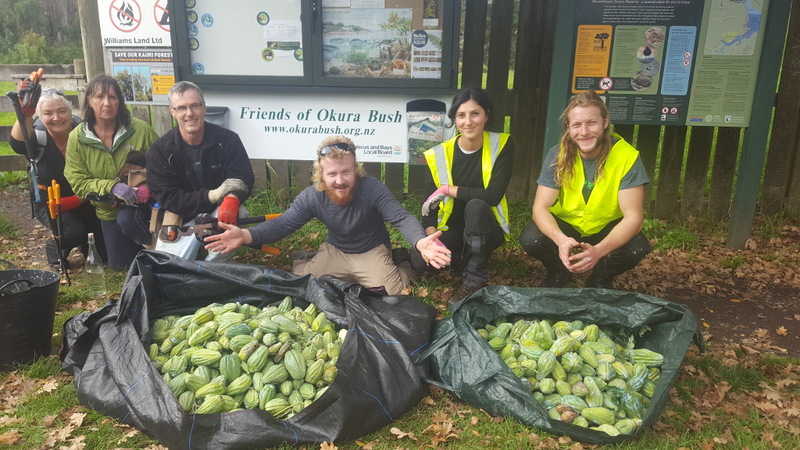 It is hard to underestimate the effects of suburban populations with their pets and cars and their recreational needs on a precious piece of reviving forest with its centuries-old kauri and puriri, its returning gecko, and recovering forest bird population. The estuary and beaches are the home to more than fifteen species of wading, nesting, and migratory birds, which developers have already written off as collateral damage. This is why FOOB president Lezette Reid, supported by the executive committee, has played a significant role in the Unitary Plan hearings, alongside members of the Okura Environment Group, the Long Bay Okura Great Park Society and the Dacre Cottage Management Committee. It is also why FOOB has donated $7750 towards the cost of the hearings – costs that remain to be covered for payment to expert witnesses and lawyers. Donations, most gratefully received, can be made via the FOOB website or by cheque. Another major issue that has preoccupied your executive is their disagreement with the Department of Conservation over its plans for upgrading this much-used track. FOOB is concerned that DOCs insistence on the use of plastic-based webbing (GeoWeb, http://www.geofabrics.co.nz/media/2119/geoweb-brochure-m056.pdf) will be short-term and lead to continuing and long term damage to roots. FOOB’s research leads them to believe that boardwalks are the only long term remedy for the spread of kauri die-back disease and offer the only permanent protection of roots. To this end they engaged a specialist, Stephen King, whose lengthy and detailed report can be read on the website. (He kindly donated his time). It is appreciated that the cost of boardwalk, an estimated 1.6km to protect kauri, will require substantial fundraising. Boardwalks come in several materials: treated wood (the most common), plastic or concrete. DOC has always promoted boardwalks as the gold standard for the protection of the forest from the effects of walkers and disease. The discussion with DOC is ongoing and involves local iwi with whom FOOB has developed a fruitful relationship. The three iwi with historical connections to the area are Te Kawerau a Maki, Ngati Manuhiri and Ngati Whatua o Kaipara. Note that: if the track upgrade does go ahead the Walkway will be closed for several months during that period. Doc has recently put another drone up to photograph the forest to look for unhealthy kauri but are not satisfied with the results. And so the ongoing and arduous mission to get approval from DOC to lay a few more trap-lines through the forest is yet again delayed. DOC was meeting with the Ministry of Primary Industries to construct a decision making process for a final decision to be made. We will report the results once available. 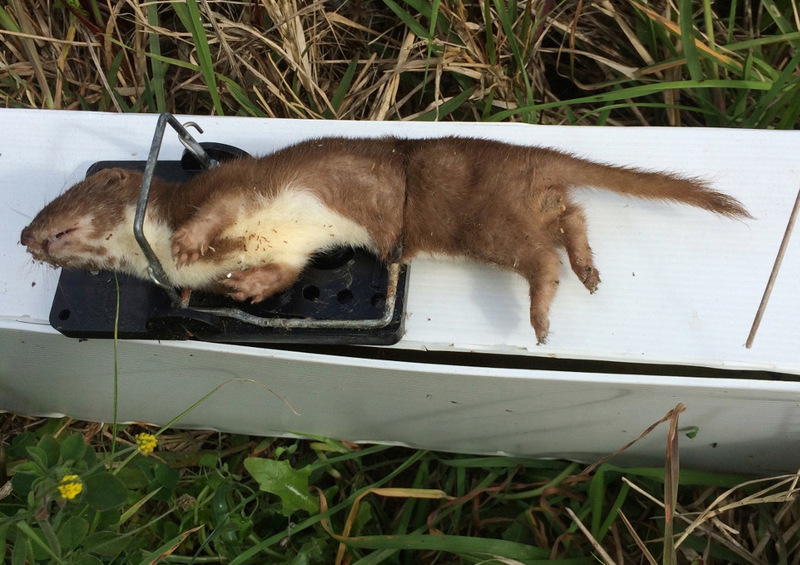 Quiz: Is this a stoat or a weasel? Have a guess and then consult the helpful hints below. Stoats (Mustela ermina) have a brown back and pale belly, and bushy tail with a black tip. They are 34–40 cm long including tail. Stoats will live in any habitat in which they can find prey. In New Zealand they can be found from beaches to remote high country, at any altitude, up to and beyond the tree-line; in any kind of forest –exotic or native; in scrub, dunes, tussock, and farm pastures, and near human settlements. Weasels (Mustela nivalis) are 20–25 cm long, coloured a deep brown to light tan, with a short tail. Little is known about weasels but their impact on native birds and lizards is likely to be similar to stoats, although on a smaller scale. Weasels were originally introduced in larger numbers than stoats but have not thrived. Answer: A weasel. And this one? May is proving to be a very productive month, which follows the patterns of previous years – April and May having the most catches of the year. This is thought to be because of the seeds available on the forest floor until then, and this year kahikatea have been ‘masting’ prolifically. We are pleased to catch as many as possible of these animals before they turn to prey on birds, geckos, and insects. Meanwhile, the day-to-day issues of weed and predator control continue to absorb the energies of both committee members and volunteers. 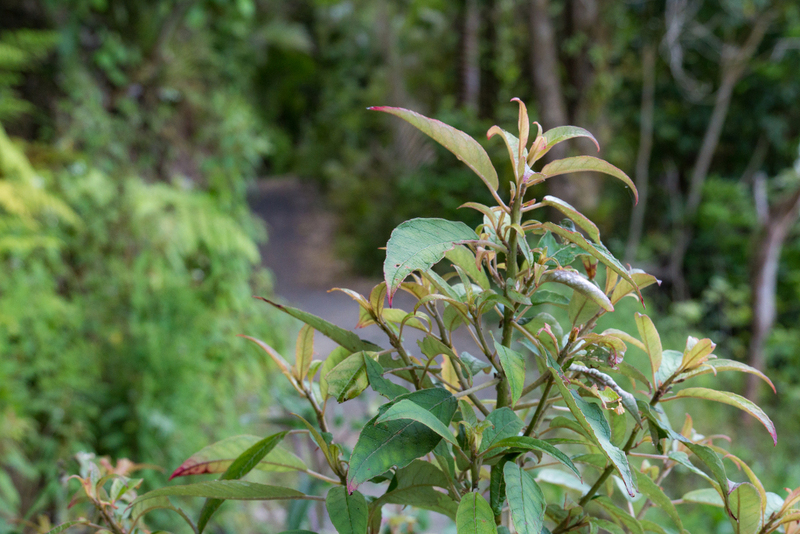 A Hibiscus and Bays council Local Board grant of $16,500 has gone towards establishing a weed management plan and to pay contractors to carry out the initial stage. The effects of the reduction in possum numbers are beginning to show – rare native fuschia or kotukutuku is regenerating on a section of the track. Weeding days are on the 2nd Sunday of the month. Join us for our Planting day on Sunday 31st July at 9.30am at Stillwater. FOOB can only continue to implement its various strategies for the Okura Bush and environs if it has enough money. If volunteer time is valued at $20/hr. then we would have tens of thousands of dollars in the bank by now. But equipment costs a lot, especially traps. So we are especially grateful to an anonymous donor who has donated 60 of the new Kamate traps for our use. This donor used to enjoy the walkway for years but is now no longer able to manage it. But he still wanted to help by donating traps. If YOU can donate even just a few dollars to keep the birds in the bush and on the shore, to get rid of weeds, to monitor birds and geckos, and to do all possible to look after the bush – please do so! Please join us for our: AGM on the 7th August at 3pm in the Okura Hall: Guest Speaker – Stephen King and/or our next FOOB meeting on 20th June at 7.30pm. If you are willing to help out, we’d love to have you on board. Thank you to our lovely treasurer, Sonja Brown for her commitment since our inaugural meeting. She is now stepping down and we are in need of a new treasurer, and also someone to handle our membership. Weeding Days are the 2nd Sunday of the month. Next Planting Day is 31st July at 9.30am at Stillwater.